We recently spoke to Frictional Games’ Creative Director Thomas Grip for a comprehensive interview on SOMA‘s development and story (look for that soon), and during that interview we learned that the team is looking into bringing their past titles to consoles, with SOMA ushering in a new version of their in-house engine better suited to porting. While we hope these ports include the Penumbra series, it seems much more likely the incredibly popular Amnesia series will get priority. 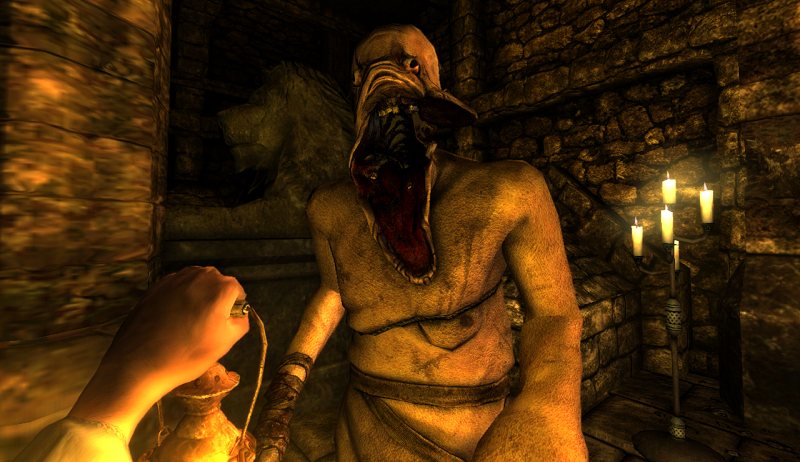 Amnesia: The Dark Descent was a big success for the studio, influencing the survival horror genre for years to come. Its sequel by The Chinese Room didn’t quite sell as well, but it too was a pretty darn good horror game. The more people that get to play the games the better. Hopefully Frictional announces something in the future!